What a wonderful day I had last week, soaking up the atmosphere (and a few glasses of Pimms!) at Henley Royal Regatta with good friends Alun Davies, Robert Llewellyn Jones of Media Wales and Peters Jones of Cintec. 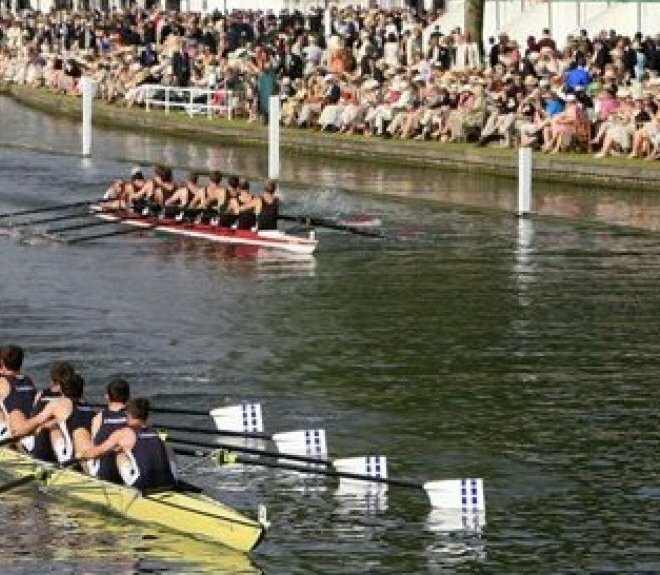 We saw some very spirited performances from Welsh oarsmen representing various clubs, including Patrick Lapage, stoke of Harvard University, who subsequently won his final yesterday by 1 foot, beating my club Leander in the Ladies Plate Event. I returned home exhausted but stimulated by the tremendous efforts put in by many rowers determined to beat the selected crews in their event, and there were some surprises. My day was completed as I sipped my last glass of wine of the day and turned the television on to watch the Wimbledon highlights, and probably the finest game of tennis ever played! 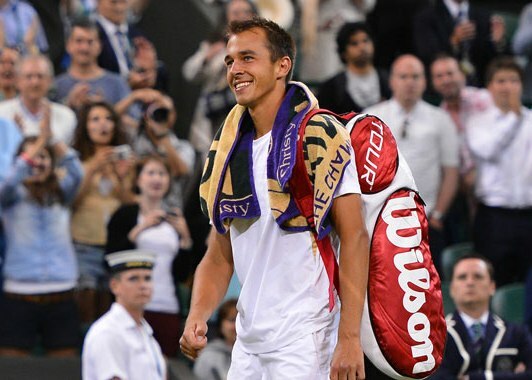 The Czech Republic’s Luka Rosol, ranked 100 in the world, beat the famous Rafael Nadal of Spain, the world number 2, in a game with all the excitement and passion you could ever expect from the sport. 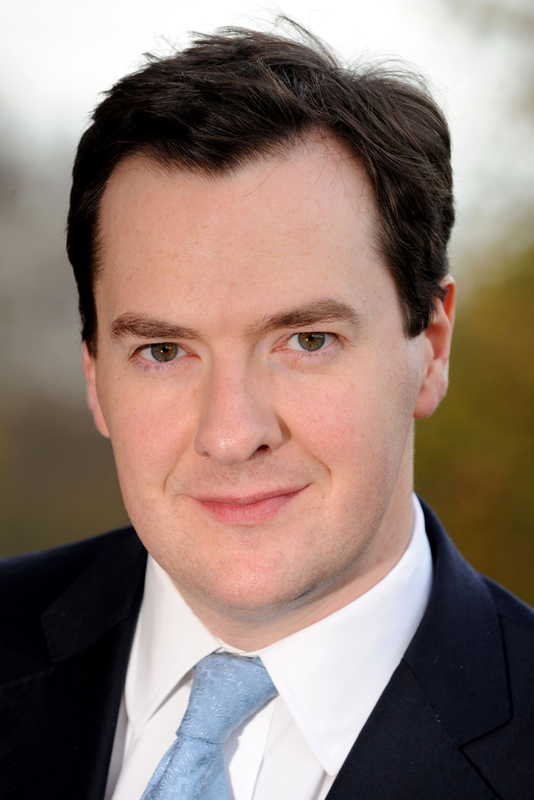 My faith in someone’s ability to win whatever the odds has been totally restored! Luka’s concentration, calmness, courage, fitness and technical ability was unbelievable! I shall never ever doubt either my own or anyone else’s chance to win at whatever level, in whatever competitive situation we may find ourselves, as demonstrated on Thursday on the green grass of Centre Court. 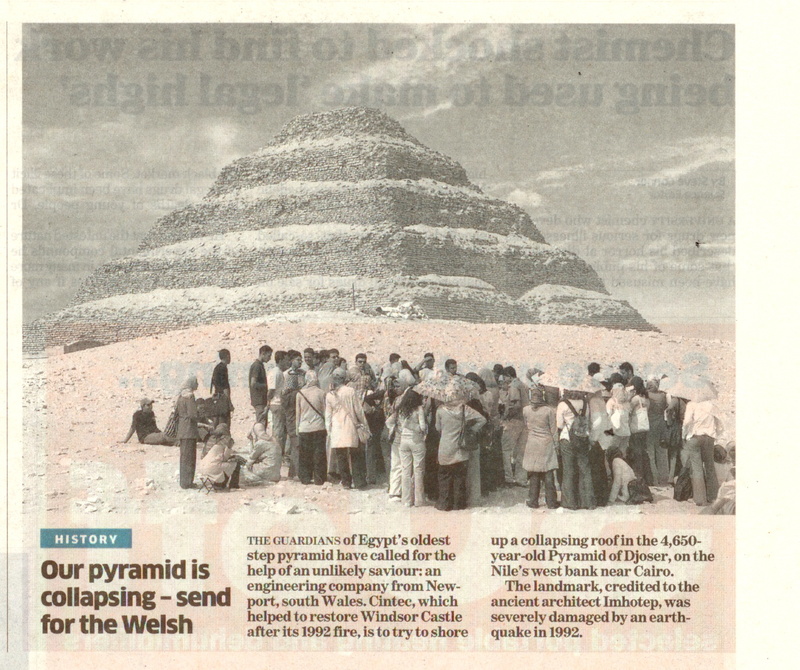 Let’s hope that there are many more such examples to come in the week’s ahead, as our Welsh representatives in the GB Olympics team take on the world’s best. Good luck to you all, make your nation proud, as Luka’s parents and supporters showed most visibly after his victory! PS. I must also mention the brilliant efforts from Rhys Williams, who won gold in the hurdles at the European Athletics Championships, and golfer Jamie Donaldson, who after 255 attempts finally claimed his first tour title at Royal Portrush. Well done boys! Cintec International has been appointed as the only British company to actively participate in the three-year collaborative European NIKER research project. 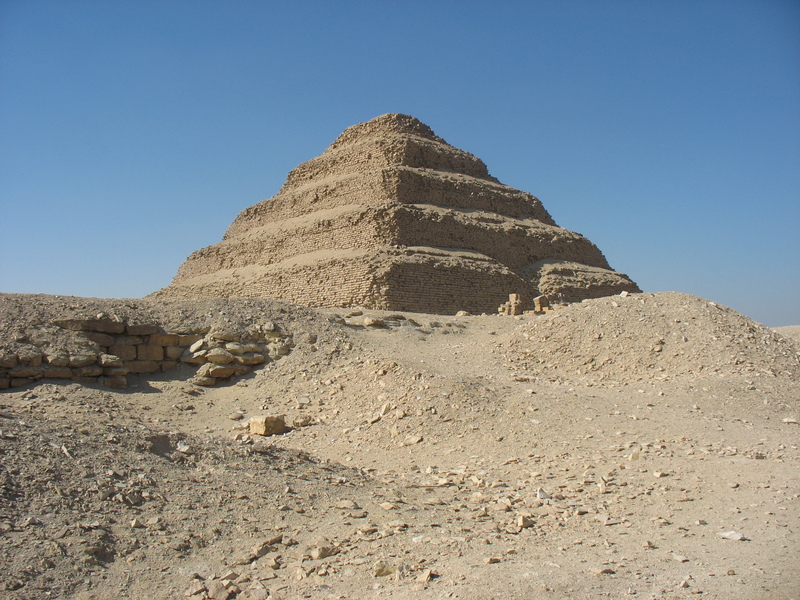 The aim of the project is to protect the artistic value of cultural heritage sites from earthquake induced damage through the use of ‘stitching’ , the industry’s term for the reinforcement of structures. Earthquakes can cause dramatic and devastating effects to both people and structures, not only in the Southern Hemisphere as the recent Christchurch, New Zealand disaster has proved but also in Europe. 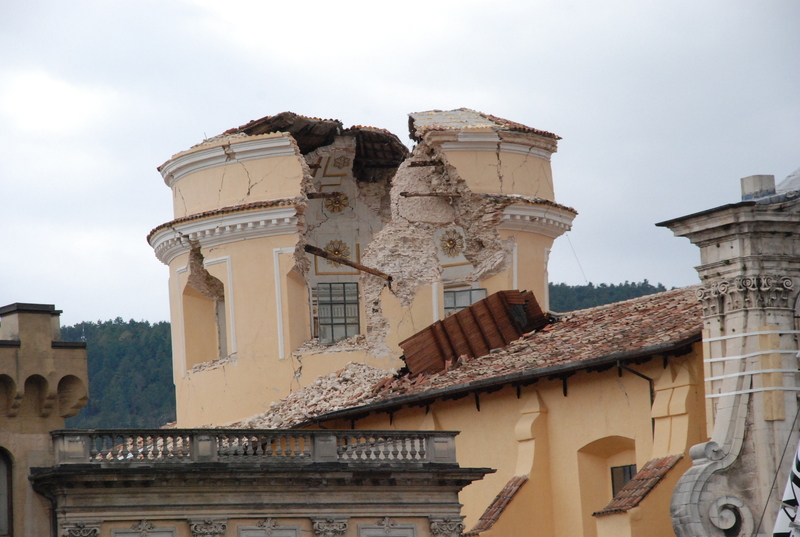 The 2009 earthquake in Abruzzo, Italy is a prime example of how earthquake damage, whether involving casualties or cultural losses, is high in European historic centres. 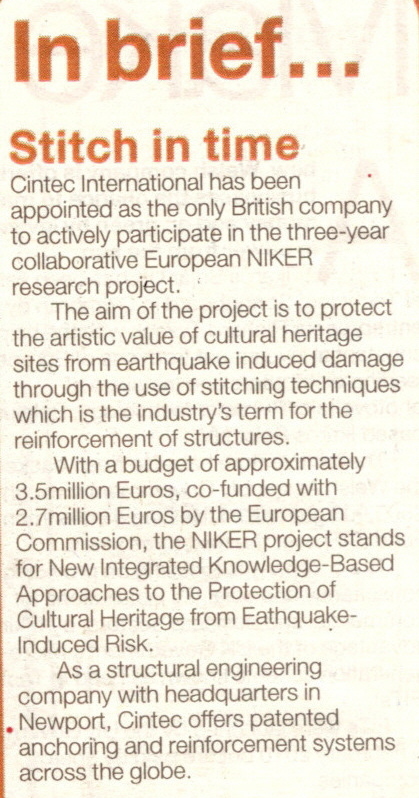 With a budget of approximately 3.5million Euros, co-funded with 2.7million Euros by the European Commission, the NIKER project, which stands for “New Integrated Knowledge-Based Approaches to the Protection of Cultural Heritage from Eathquake-Induced Risk”, proposes to tackle the problem by developing new high-performance elements and by complementing and enhancing traditional materials with industrial processes. 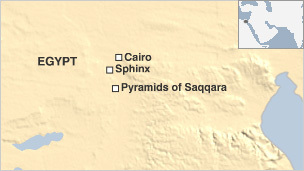 The process relies on both experimental and computational tools, databases and the know-how of partners involved in the project. Validation will be performed under specific, real life conditions. As a structural engineering company with headquarters in Newport, South Wales, Cintec commercialises patented anchoring and reinforcement systems across the globe. 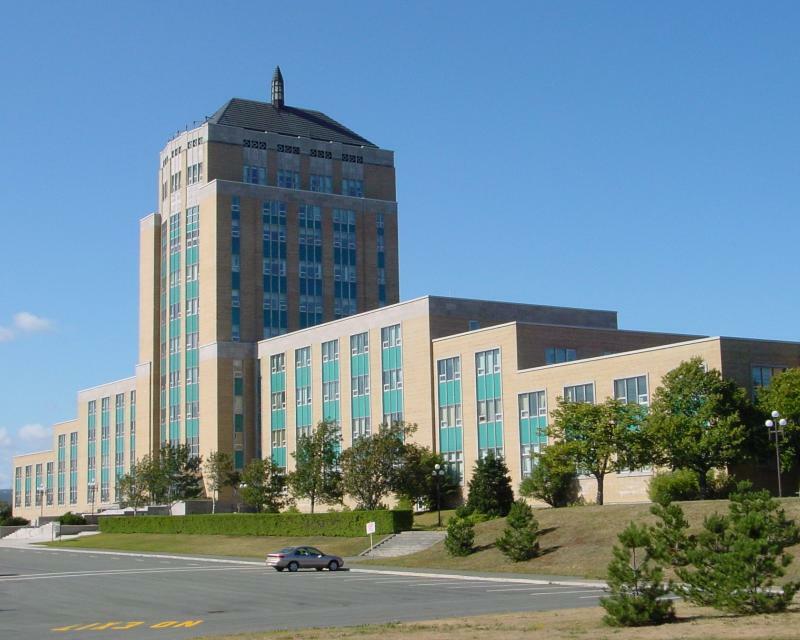 The company has maintained structures including, Windsor Castle, the European Parliament Buildings in Athens, the pyramid of Djoser in Egypt and has recently won a three-year contract to strengthen the façade of the Confederation Building which overlooks St.John’s, in Newfoundland, Canada and in 2002 Cintec was awarded the Queen’s Award for strengthening masonry arched structures. 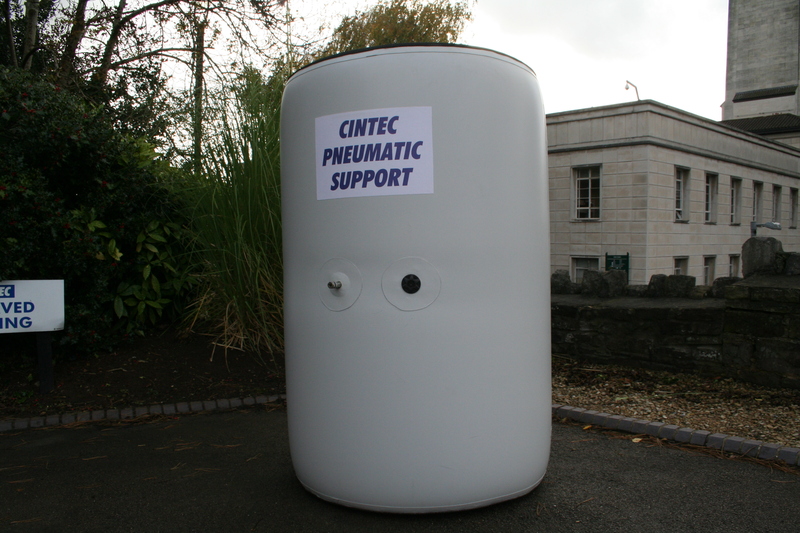 With the support of the University of Bath, Cintec’s objective as part of the NIKER project will be to develop a new type of anchor in which a dissipative device and a sensoring system will be imbedded to create new improved systems for connections with early warning techniques that signal an earthquake. 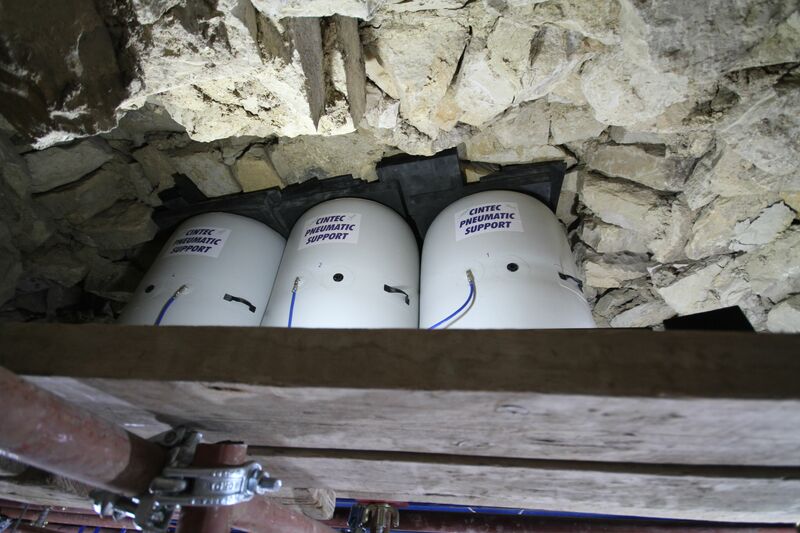 Such anchors will allow a controlled and repairable movement of walls within the structure enabling it to resist seismic forces. 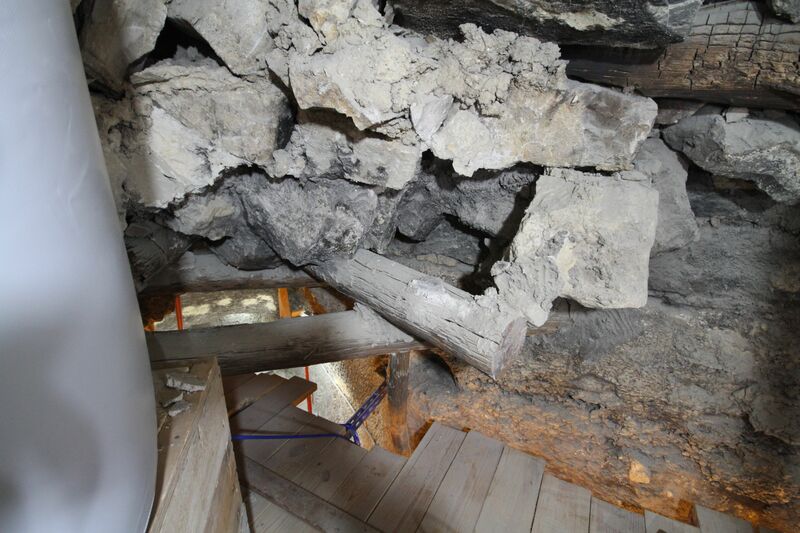 The completion of the project will result in a set of guidelines for end-users, giving instructions on new integrated materials, technologies and tools for systematic improvement of seismic behaviour of cultural heritage assets. Sara Paganoni, a PhD research student in seismic engineering from Bath University, has been assigned to the programme by the NIKER project and works with Cintec in a research capacity helping to develop the new anchoring system. 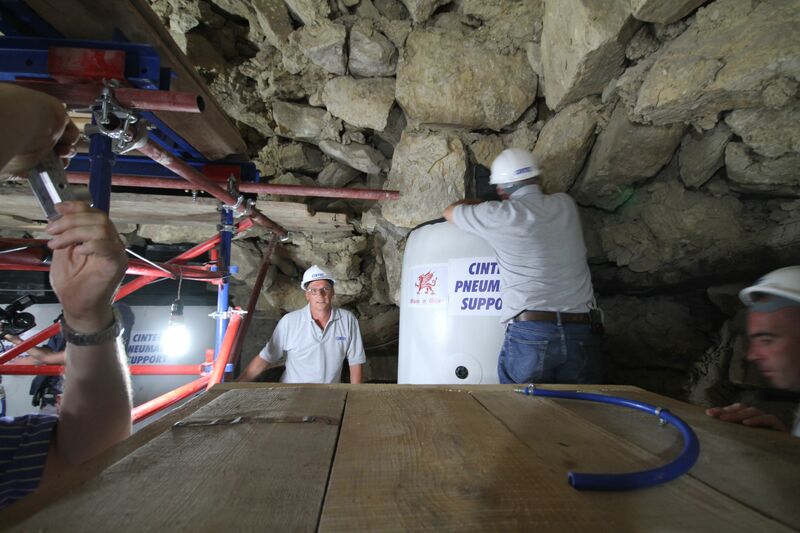 The Cintec anchoring system offers a remarkably versatile, proven approach to internally strengthen masonry buildings and structures.